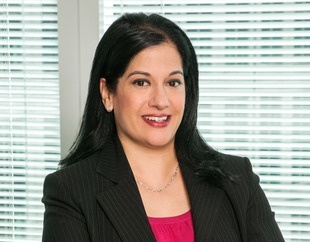 Mala Ahuja Harker is a member of the firm's Management Committee. She represents individuals and corporations in the financial services, pharmaceutical, and other industries in connection with white collar, securities, employment, and complex commercial litigation matters. Prior to rejoining Friedman Kaplan, where she was formerly a partner, Ms. Harker served as an Assistant United States Attorney for the District of New Jersey from 2011 through 2017. In this role, Ms. Harker investigated and prosecuted cases involving sophisticated financial frauds, insider trading, securities violations, mortgage and bank fraud, tax evasion, money laundering, public corruption, identity theft and cybercrime, as well as violent crime and drug offenses, among others. Ms. Harker’s work for the U.S. Attorney’s office included a long term investigation involving corruption at the Newark Watershed Conservation & Development Corporation, which resulted in the conviction of several high ranking employees and outside contractors of the agency. Representation of the Chief Financial Officer of an international media company in connection with an internal investigation. Representation of an inter-dealer brokerage firm in a three week arbitration related to claims of unfair competition and raiding by rival firm. Provided advice to cyber threat intelligence firm regarding automated threat indicator sharing network among government agency and private industry participants. Representation of a hedge fund in a two week arbitration involving contract and tort claims against departing portfolio manager. Representation of a software company that provides services to state vital records bureaus in connection with its response to a data security incident. Representation of a senior executive of a generic drug manufacturer in connection with a criminal investigation and related civil shareholder actions. Representation of 29 partners in a Brazilian investment bank in connection with the bank’s acquisition for $2.5 billion. Prior to her time with the District of New Jersey and with Friedman Kaplan, Ms. Harker was an associate at Paul, Weiss, Rifkind, Wharton and Garrison LLP. Ms. Harker is awaiting admission to the Bar of the State of New Jersey. Ms. Harker is a member of the Federal Bar Council, the American Bar Association and its Global Anti-Corruption Committee, the New York City Bar Association and its Women in the Legal Profession: White Collar Crime Subcommittee, and the South Asian Bar Association of New York. She is also an active member of professional organizations that advocate for gender equity and women’s rights within the workplace, including the National Association of Women Lawyers and the Legal Network for Gender Equity, which connects those who have experienced sexual misconduct in the workplace with attorneys and public relations professionals who can help them. Menendez Mistrial Leaves U.S. With Choice: Retry or Give Up? Amid Deadlock and Juror Remarks, Is Menendez Trial Foundering? Wonkette Would NEVER Cover NJ Senator Bob Menendez’s Bribery Trial If He Were A Democrat!